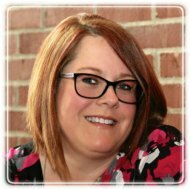 Kansas City Therapist: Kristal Krahl-Camp - Therapist 66102. Send A Message To Kristal. Everyone goes through ups and downs. It's part of life. Some people have the ability to push through while others need to reach out for support. There is nothing wrong with either way. Seeking a therapist can be scary, especially if it's your first time. I strive to make that process as easy and painless as possible. You will find that I provide a safe, nonjudgmental space for you to share the issues that are oppressing you. There are many techniques and approaches I use to help you explore and find meaning in your life. Most importantly, you will feel heard because your voice matters and so does your story. Your experiences and feelings are uniquely yours and no one can take that from you or minimize the impact on your life. I desire to help you realize that what you are going through right now is temporary and that there is hope and healing on the horizon. As a Marriage and Family therapist, I view things through a different lens than other counselors. I see people as part of their environment and family system. Everybody and everything has some sort of contribution into your life. Yes, there are some issues that have more of an organic compound, meaning that they have a medical or chemical cause. But the way that you handle things or are experiencing things are dependent on what else is going on in your life. I don't place blame but look for things that make sense and find a way to correct those thought, feeling, and/or behavioral patterns. I commend you for taking the first step in looking for change in your life by choosing a therapist. I firmly believe that therapy is beneficial and that it is even helpful before problems arise. I also believe that there needs to be a comfort level with the therapist you choose. If that is not me, I totally understand and will gladly give you referrals to other clinicians or whatever else I can do that will be helpful to you. I want you to choose me and stay with me because I am helping you on your journey and you find our work together meaningful. Let's see how we can collaborate to make the changes you desire in your life. I look forward to speaking with you! Let's get started on this important work that you have chosen to do. Here is one of my favorite quotes that really resonates with the therapeutic process, "I'm not telling you it's going to be easy, I'm telling you it will be worth it!"